Many of LifeWatch Greece web applications are also available as mobile applications. Currently there is a main application called "LifeWatch Greece" Mobile app that consists of 4 sub-applications, two of them available without login and the other two by using LifeWatch Greece portal credentials. Data from different Citizen Science projects such as Comber and CIGESMED can be seen in Citizen Science sub application. MicroCTvlab, RvLAB and MedOBIS are the other 3 sub applications where the user has the ability to see most of the options that are available through the portal. 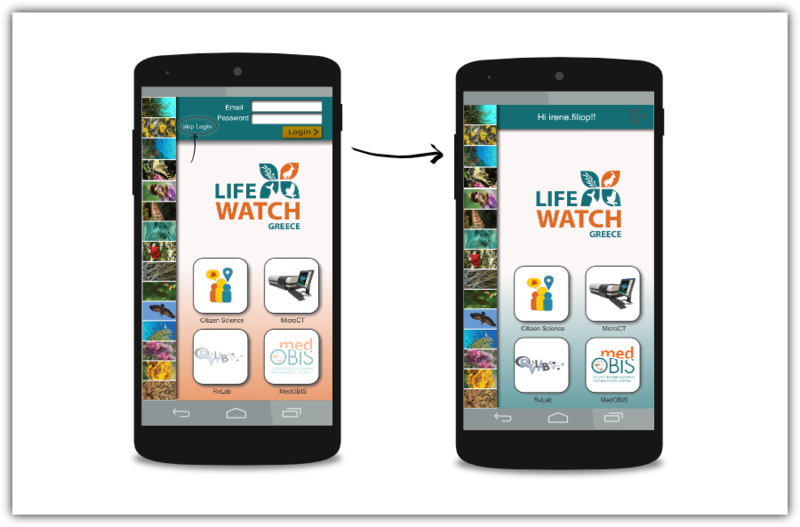 The "LifeWatch Greece" Mobile app is available for free at the Google Play Store.